Greetings Everyone! 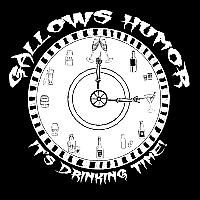 Gallows Humor has a schedule for Yuma Faire this next weekend! The schedule is subject to change, of course. Cutthroat Reef, our friendly, neighborhood pirate band, will also be performing the set right before Gallows Humor! So come over and get a nice solid hour of music for your listening enjoyment! Saturday Night, the night show, will be our usual bawdy, naughty selves! So be sure and stick around! See you all in Yuma! Here’s the schedule for Gallows Humor books weekends at Escondido Faire, starting October 27-28th! Be there! See Gallows Humor! Have a drink! Because everybody knows what time it is!!! One of the beloved members of Gallows Humor, as well as a handful of other bands (I.M.H.O., Eben Brooks Band, and countless others) left this mortal realm in January 2018. At a Celebration of Life for her, we performed songs throughout the day. Here’s a video of some of those performances. Kizzy will be missed, but most of all she’ll always be remembered in song! Performing Justice at Big Bear Renaissance Faire this past weekend! This is the tavern at the Escondido Renaissance Faire at Felicita Park in Escondido, CA. Gallows Humor will be performing there at 11:30, 3:00 and 5:00 on Saturday and Sunday May 5 & 6, 2018. We would love to see you (and be seen) there.